2019 Lexus RC will make its global debut in Paris. Details are slim, but expect a number of new aerodynamic treatments. Lexus says the styling is “aggressive” and we agree, until we get to the front grille. 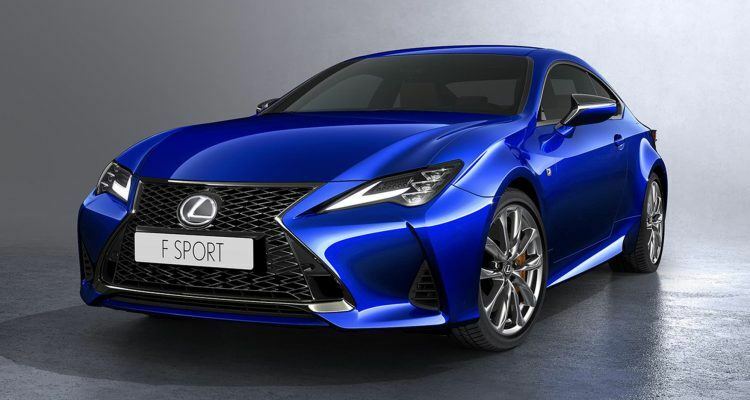 Lexus is rolling out the latest version of its RC luxury sports coupe at the Paris Motor Show next month. The RC has been around for five years, and from the get-go, has played a major role in advancing the idea that Lexus is committed to emotional, versatile driving experiences. That may be, but the styling is still a little clumsy. Lexus says the RC has become a “highly sought-after” coupe by enthusiasts who value performance and world-class craftsmanship. That also may be. I see a lot of them in the hands of various tech bros, so, near as I can tell, that’s their core market. The styling on the 2019 Lexus RC, such as it is, is an extrapolation of many of the styling cues found on the previous model. The lines are taut and well sculpted, the color pallet is nicely finished, if somewhat garish, but that grille . . . Lexus seems chained to that grille for the foreseeable future. Sadly. The interior gets a new Dark Gray Streamline treatment for the heater control and audio panels. 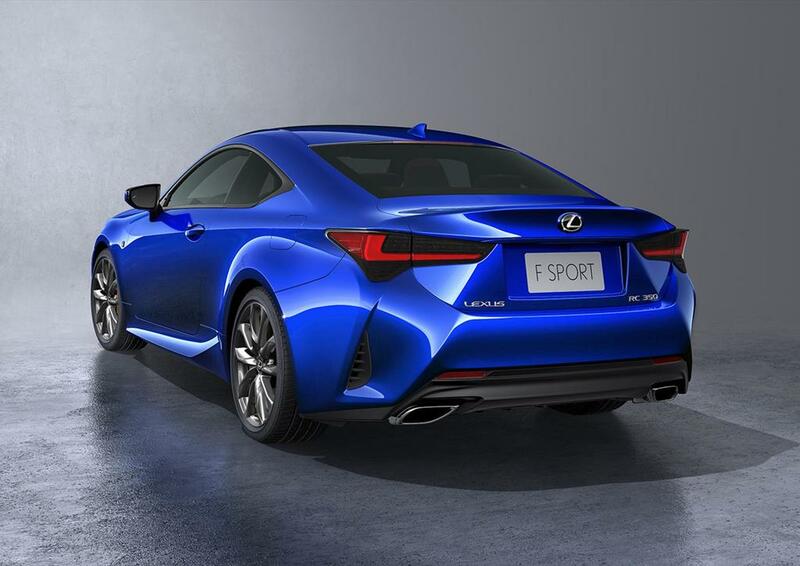 Dark Gray Streamline is standard on the RC F Sport. In all, you can choose from six different types of interior trim. Glazed Caramel and Black with Yellow accents are two of the most popular. There are seven total interior color combinations available, including those for the F Sport. The RC’s aerodynamics, tires, suspension, engine response, and steering feel all improve for 2019. Lexus says this means a quicker and more refined drive, providing a higher level of confidence and ride quality. Lexus further says the RC makes for an “ideal companion,” whether you’re on a twisty mountain road or on the open highway. I refer you back to the fact they call the new 2019 Lexus RC a luxury sports coupe. Corvette and 911 drivers will have little to worry about. The aerodynamic tweaks include such gee-gaws as a new fin shape on the side window molding and a duct on the rear bumper. Both improve air flow and stability. There are new 19-inch wheels and tires for increased grip and steering response. Stiffer suspension bushings and new shocks are there to provide additional damping force. Now, what about that refined and improved powertrain for the 2019 Lexus LC? Your guess is as good as mine, sadly, because Lexus is maddeningly quiet with details on this front. They only say more will be revealed next month at the 2018 Paris Motor Show. Or, to put it another way, we’ll let you know all the performance specs and power details as soon as we find out ourselves. The 2018 Paris Motor Show begins on Thursday, October 4th and runs through the 14th. 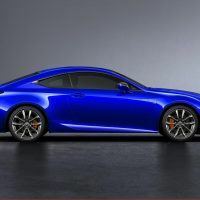 No Comments on "2019 Lexus RC Set For Paris Debut"